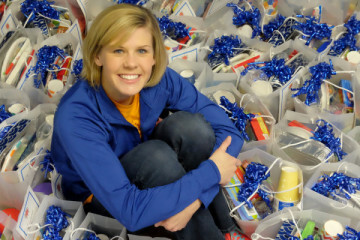 Megs Yunn and the Beverly's Birthdays team celebrating the donation. Photo courtesy of Beverly's Birthdays. The founder of Beverly’s Birthdays had been told that a crew from the show was coming to film a documentary about her work. Megs Yunn and Mike Rowe. Courtesy of Beverly’s Birthdays. 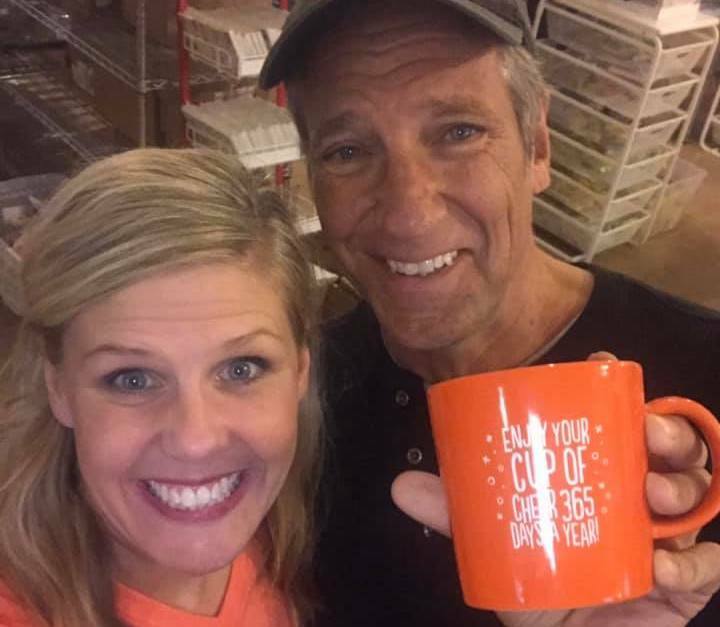 But after the show’s host Mike Rowe (formerly the star of the popular TV series “Dirty Jobs”) arrived, Yunn soon found out what was actually happening: Rowe presented Beverly’s Birthdays with a check for $25,000, plus $10,000 worth of toys (and more on the way, they say) at a big thank you surprise party for helping so many kids in our region. 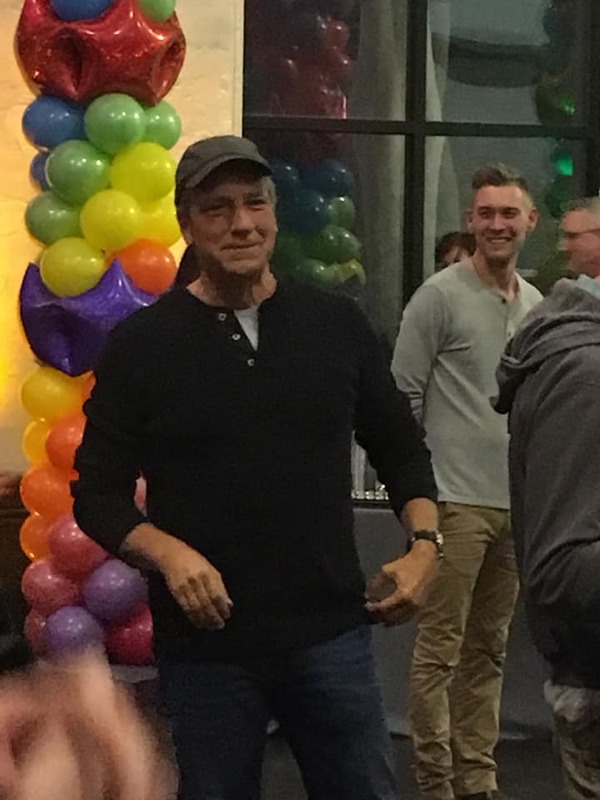 Mike Rowe celebrating at Megs’ party. Photo courtesy of Beverly’s Birthdays. How does she plan to use this donation? “The funds will be used to support spreading birthday cheer to the 30,000 children we will support in 2019,” Yunn tells us. 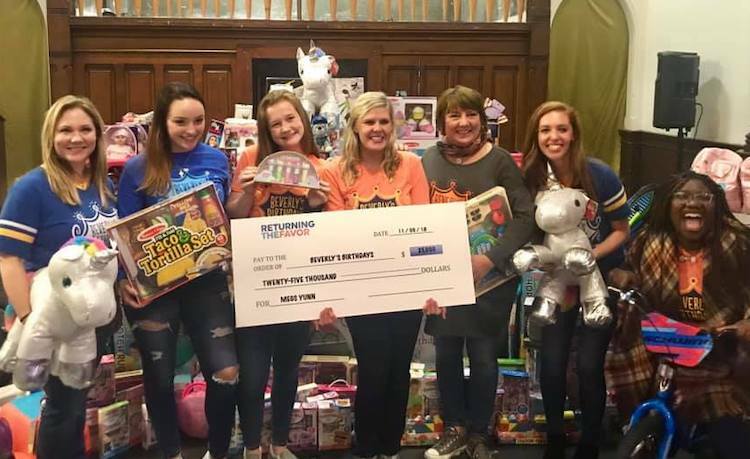 “Additionally, I hope the ‘Returning the Favor’ piece will inspire others to give back in their communities and Pittsburghers to get involved with our organization. Watch the episode here (and have tissues available for the tears — when Yunn cries, we’re betting you will, too).